Increasing public awareness about homeopathy usually involves personal contact. This can take the form of an informal conversation, an encounter at an information booth, an introductory lecture, etc..
For many, awareness leads to a desire to understand more about homeopathy. This usually starts with questions: How does homeopathy work? Is it safe? How is it different from naturopathy and herbology? Can it be effective with specific conditions? Once people have reached a basic understanding of homeopathy, they are able to decide whether it is a treatment option that they wish to explore. Many turn directly to a consultation with a qualified homeopath. Others want to learn how to use homeopathy in order to treat minor conditions with their family, friends, and pets. Public education provides an introduction to many of the basic features of homeopathy and how it can be used effectively at home. CSH is committed to assisting our members at all levels of introducing homeopathy to the public: awareness, understanding, and education. By 2009, CSH had expanded awareness celebrations to the full month of April. 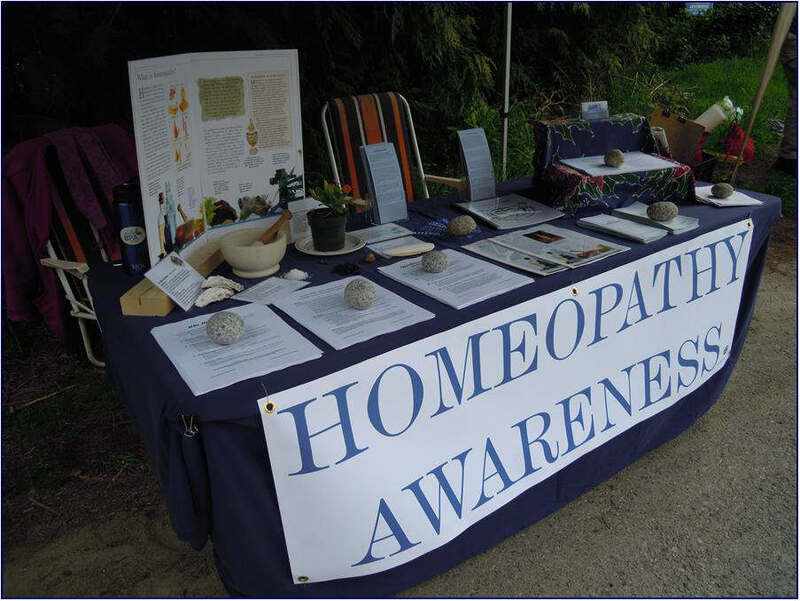 Each year our professional members present opportunities for the public to learn more about homeopathy through free lectures, information booths, meet & greets, open houses, displays, etc.. Others offer discount coupons for services and products or draws for homeopathic books and consultations. 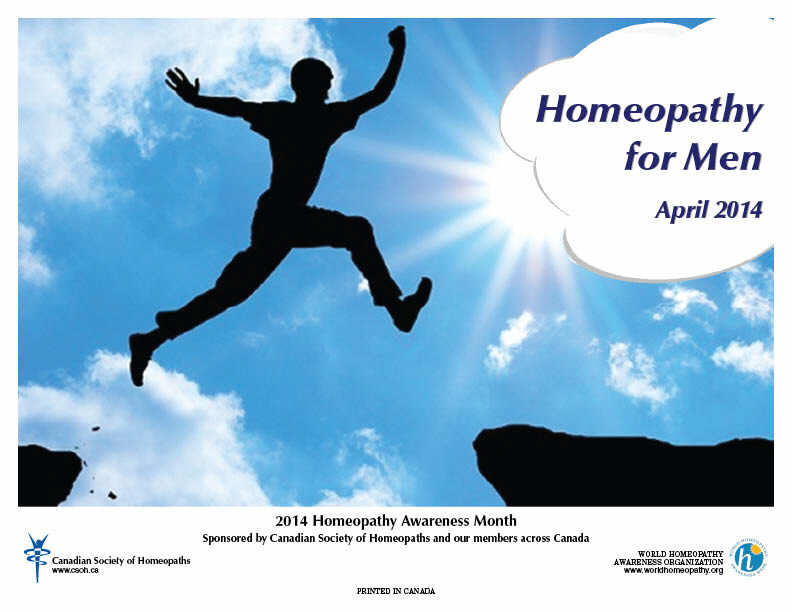 Check next year's Homeopathy Awareness Month announcement for details of these events and opportunities. Introductory lectures, courses, and workshops are available throughout the year from CSH members. Every homeopath has the potential for teaching homeopathy to people in their own communities. Often the teaching can be with patients through the consultation process. However, many homeopaths overlook a great opportunity to introduce others to the basics of homeopathy, either through individual lectures or a series of introductory study sessions. For some, the idea of playing "teacher" after years of study can seem intimidating or the amount of preparatory work involved can be overwhelming. The Public Awareness and Education committee aims to alleviate those concerns and make it possible for many homeopaths to express their passion for homeopathy through educating others. Several years ago, WCSH developed a step-by-step manual for an introductory lecture on homeopathy, including tips on promoting the event, a suggested outline, and numerous resource materials. Registered members can purchase an updated version of this manual through CSH for $10.00 (plus $5.00 postage/handling charges). CSH is now preparing a complementary manual for a 12-part series of introductory study group sessions. Each 2-hour session covers an aspect of history, philosophy, practical uses, materia medica, and differentiation of remedies. By the end of the study series, participants will be familiar with a dozen remedies and will know when and how to use them at home for their family, friends, and pets. Updates on the progress of this project will be posted on this page as they become available.